Did you know you can download a Windows 10 disc image free from Microsoft? This is seemingly little known, but yes you can download a complete legitimate Windows 10 ISO without registering or even having a product key, and you can install and run the entirety of Windows 10 using the image too. Once you have the Windows 10 ISO downloaded to a computer, you can then use it to install into a virtual machine, create an installer drive, use it for Boot Camp, or install it onto a PC. What you do with the Windows 10 disc image after you download it is up to you, but there are no practical limitations on the file as it’s a full official release as a disc image, downloaded directly from Microsoft. Activation can be skipped and performed later. The Windows 10 ISO 64 bit release is a little less than 5GB in size, so it may take a while to download to your computer. If you’re downloading Windows 10 onto a Mac, you will find the iso file in the downloads directory when it is complete. After you have downloaded the operating system you’re able to use the ISO file to install Windows 10 into VirtualBox on a Mac (or PC), make a Windows 10 USB install drive from a Mac, make an installer DVD by burning the iso, install into Boot Camp on a Mac, or even use the ISO to update, reinstall, or install Windows 10 onto a PC. It’s compatible with anything that Windows would normally be compatible with. As mentioned earlier, you do not need a product key to download Windows 10, nor do you need a product key or to activate Windows 10 just to install and use the OS, during the install process you can postpone product key entry and do it later. The disc image download is free, though obviously a product key is not. It’s important to note that if you choose to not activate Windows 10, the release has limited usage, and certain features of the operating system will be unavailable until you do activate the release. Activating Windows 10 can be done after installing by entering a product key either obtained from the Microsoft ordering process or elsewhere. You can activate Windows 10 from Settings > Activation, where you can buy a product key and enter it to activate the system. Of course if you plan on using Windows 10 beyond a test run or want the full set of features, like the ability to continuously use it, change wallpaper, and personalize the system, you’ll want to buy the full release and a product key, which you can then enter into the already installed Windows 10 release. Microsoft offering Windows 10 as a free download this way offers a great way to test out the Windows 10 experience before committing to buying it. It’s also helpful for developers or those who need to just run Windows 10 for a specific purpose, perhaps for testing a particular single game or particular application. Do note that web developers have another option available which is to run Microsoft Edge and Windows 10 in a dedicated virtual machine as described here, which is also an official download from Microsoft. That solution may be easier for some users if the primary intention of downloading Windows 10 is to run in a virtual machine anyway, since it arrives as pre-configured VM that only needs to be launched into VirtualBox or VMware. I was able to download the 64-bit Windows 10 ISO and then installed the Windows 10 release into VirtualBox, it was very easy. It runs pretty fast, too. What is the price to activate it once installed? What is the basic install size if one wanted to install this in bootcamp? Honestly if you have windows seven(already activated or cracked with daz) you can just use the accessibility upgrade to get windows 10 for free only requires hitting a check box saying you use accessibility software. If you’re crass, sure. Otherwise no. Only use this option if you use accessibility tools. If not, simply use your existing 7/8.1 key to install the OS. Does it come with its own free virus checker too? Do you really need virus checker on official M website? I think no other than site. It’s now official: video killed the radio store and Cook killed Apple. 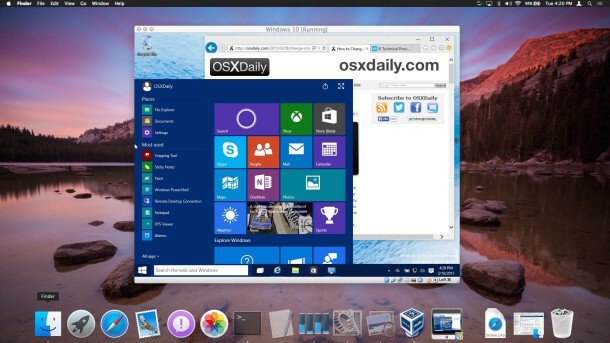 OSXdaily downloading Windows 10 is the final proof. No more emojis needed. “…either obtained from the Microsoft ordering process or elsewhere”. So, for f… sake, is it free or not? The download is free, to activate Windows 10 you have to pay for it. That’s pretty clear. Come on, that’s a real stretch. You can download Photoshop for free. MS Office for free. You can download almost any software suite or package for free. Oh, you’ll have to pay for them to use them, but you can download them or free! Who gives a hoot if you can download it for free. Why don’t you download the Windows 10 image and install it yourself into a virtual machine or boot camp, you’ll see there is no limitation on it. I do run MS Windows in a few of virtual machines for web development (7, 8, 10, and even XP). After a short period of time, you’re required to activate it just as the article states. Activation requires a paid product key. Kip you fool, you can download and install and use Windows 10 without a product key and without activating. Why don’t you try it yourself before making such a stupid comment, you’re a real fool. A novice talking about complex topics, fool. 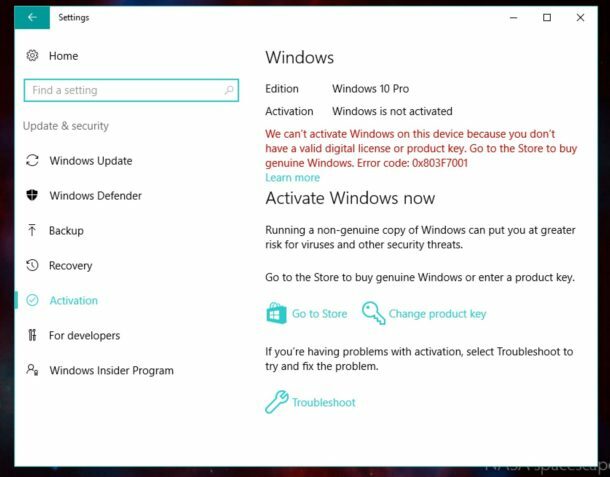 You do NOT need to activate Windows 10 to use it. You do NOT need to activate Windows 10 to download and install it. You do NOT need a product key to install and use Windows 10. If you do not activate Windows 10, you will be softly nagged and won’t be able to change the wallpaper. That’s the only limitation. Essentially you can use Windows 10 for free. Hi, noobe question, what does it mean where it says links will expire on a given day? The link that is generated when you make all the selections is only valid for 24 hours. After that I guess you have to start again. And way to obtain valid product key?? I can only imagine that you could … purchase one. Buy it. I’m sure microsoft provides easy to follow links to do so. Yes you can buy the Windows 10 product key to activate it from Microsoft.com or from Windows 10. 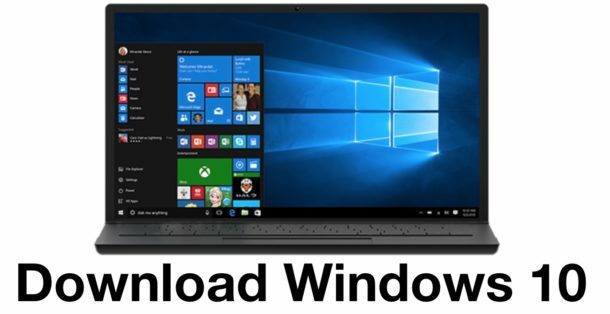 The download of Windows 10 ISO is free. You can install Windows 10 ISO for free without activating or a product key, just skip it during the install process. If you do not activate, you can not personalize Windows and you get a little logo watermark in the corner of the screen. Some people say it will stop working at 30 days but I have not had that experience, but maybe you will experience something else. I run Windows 10 in a Virtual Machine, shut it down when I don’t need it and use a saved state, maybe that is why. I downloaded the 64-bit Windows 10 ISO and then easily installed the Windows 10 release into VMware Fusion. In Windows 10, I saved a test file from Notepad and then looked around for a way to add tags to the file, like in macOS. Oh, wait, no native filesystem tags in Windows 10? OK. I closed VMware Fusion and went back to work in macOS. This is not news, this has been the Micro$oft method of delivery for Windoze 10. BUT it is NOT FREE only the DL is, if you wish to use it for more than the 20 day trial you MUST PAY!!!! 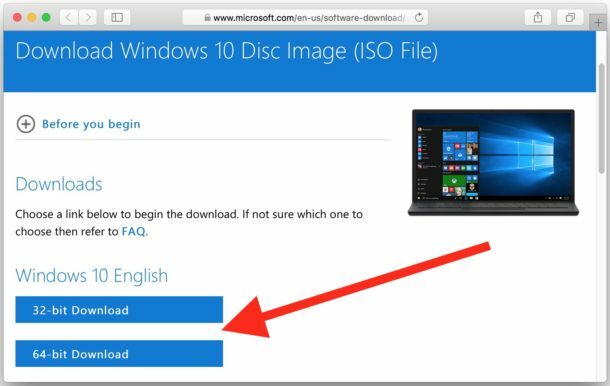 As the article clearly states, the Windows 10 disc image download is free. Obviously the product key is not free. you can buy a windows 10 activation key on ebay for $5. easy !!! The only legitimate Windows 10 activation keys come from Microsoft or an OEM. The Windows 10 Pro product key is about $200 in the USA and can be bought from the official Microsoft store online. Anyway, I don’t want to pay for Windows 10 and be tracked by Microsoft’s many electronic minions … that’s just not what I’d call a fair deal. But it’s good to have this on OSXDaily, all the same, and is a pretty good sign of the times. Personally I prefer Windows 8.1 with Classic Shell. YMMV. I do hope Windows 10 gets better in the privacy department, though, as I’m more motivated than ever to leave OS X. Run Windows 10 like you stole it! Sorry, did I just tune in to the wrong channel. What’s this Windows thing you speak of? I thought I was looking at OS X Daily? Obviously my mistake. Short of Mac/IOS news are we? Chris, many Mac users also use Windows for various reasons. I run Windows 10 in a VM on my Mac, for example. I appreciate that, as I have a VM of XP for some work that I do. If I was sufficiently interested to read about Windows, where on the net do you think I would start looking? Not OS X Daily! I don’t get why OS X Daily have an article about Windows that is irrelevant to what the site us supposed to be about. Articles about Ford on a BMW site. Nah, didn’t think so. No one is forcing you to read an article about Windows 10. If you don’t like it, don’t click on the story. No reason to be all butthurt over it. Go back to watching your Oprah rerun’s on TV. I guess, fair comment about not reading the article, but I did. Illogical isn’t it, but why did you have to add an insult? 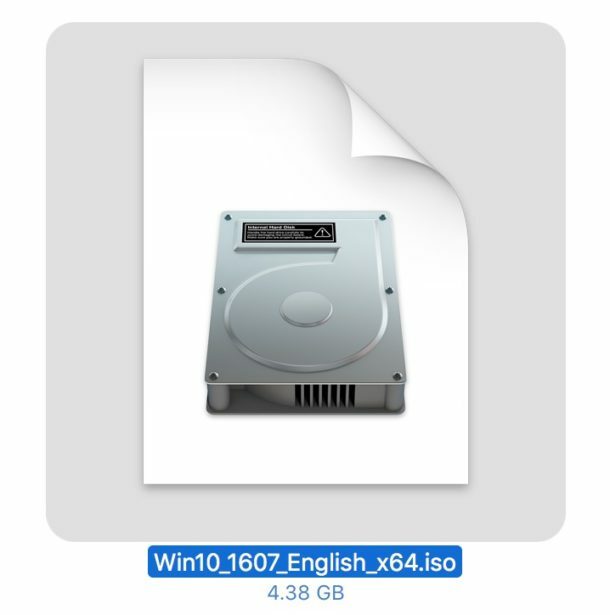 You can download Win10 ISO from a Mac, but did you know that you can’t download Sierra ISO from a Win10 machine?